Members of our Bethesda Project family share stories from their journey through our continuum of care and beyond. Anthony has known Bethesda Project for many years, but his most recent stay began with the Church Shelter Program after which he transitioned to My Brother’s House, Bethesda Project's Safe Haven. Anthony is now excited to share that he is moving on to get his own place! Over the past year, Anthony has worked to establish a large support system for himself both in and out of Bethesda Project. He has worked closely with Claire at My Brother’s House to find outside case management that will support him through his upcoming move. Anthony also got to know the Bridging the Gaps students throughout the summer. He participated in many activities with them, including dog walks and cookouts. He has gotten to know many Bethesda Project staff and volunteers over the years, and is thankful to Sarah, Rachel, Andrew, Misty, and Claire for their work with him. Anthony is most excited to have his own space and more independence in his life. He is known by his housemates as the resident comedian and his jokes will be missed at MBH! We are so lucky to have gotten to know you, Anthony! We can't wait to see what great things you do next. Tyra said “Enough is enough” to couch surfing in the summer of 2017. When she discovered drug activity in the apartment where she was staying, Tyra left all her belongings and walked out looking for a fresh start. That first night led her to Station House and, from there, she found Bethesda Project’s Church Shelter Program. Tyra says there is a unique "Bethesda Project way" of doing things that positively stands out from other Philadelphia shelters. Tyra sees it most in the way the staff warmly and unhesitatingly welcomed her as a transgender woman in the men’s shelter program when she found she had no women’s shelters she could turn to. Tyra recalls how staff met with her daily to ask her about her well being. She says staff were attentive to adapting their program to meet her needs: arranging for her to have safe bathroom use in the shelter; responding immediately to transphobic language among shelter guests; and clearly setting the expectation that all guests, staff, and volunteers would call her by her name. Tyra says the Church Shelter Program Coordinator, Rachel, and the Church Shelter Case Manager, Andrew, were an emotional lifeline for her this winter. 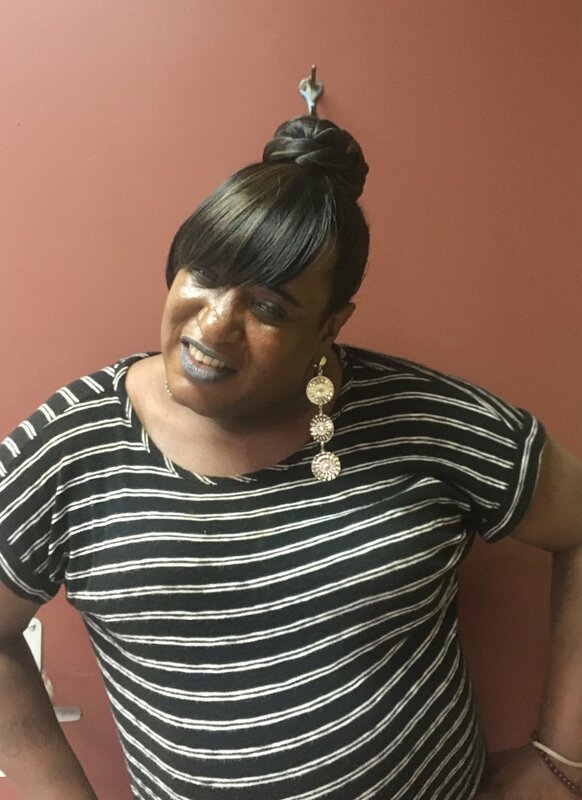 Being the only transgender woman in a men’s shelter is, as Tyra describes, “one hell of a roller coaster ride.” But she says their office door was always open to her, and they took the time to listen to her when she needed someone to talk to. She also worked with them on housing-focused Case Management, which resulted in Tyra being approved for a subsidized apartment by the end of the winter season! As Tyra looks forward to leaving the shelter, her goals are clear. She is taking coursework to become a Certified Peer Specialist, so she can be a mentor for other people experiencing homelessness. Tyra also wants to be a resource for other transgender women currently living on the streets. Tyra says she knows how dangerous and violent the streets can be, and how hesitant some transgender women are to consider entering the shelter system because of gender based violence. Tyra wants them to know that it is possible to feel safe and welcome as you are in a homeless shelter. James came to the United States in 2005 as a refugee after fleeing war in Sierra Leone. In 2010, he had a stroke, resulting in a permanent disability that caused him to lose his job and home. After moving into Bethesda Project's Connelly House in 2011, James was able to begin his journey to obtain U.S. citizenship! He began with applying for and receiving permanent resident status in 2014. Since receiving permanent resident status, James has spent much of his time studying and preparing for his citizenship test, often involving other Bethesda Project residents and staff in the process. He was frequently found sitting outside of the building reviewing questions and answers from a practice test booklet with his Connelly neighbors. On March 15th, James passed his citizenship test and on May 4th, 2018, James joined a diverse group of new Americans to take the oath to become an U.S. citizen! So glad to have you, James! After thirteen years of street homelessness, Steve entered Bethesda Project’s Church Shelter Program in November 2017. For the preceding two years, Steve slept at the Philadelphia Airport. It was there that he befriended another man experiencing homelessness, Nick, who had just enrolled in our Church Shelter Program after meeting with the Bethesda Project outreach team at Liberti Church's Emmanuel breakfast. Nick invited Steve to join him in the shelter and Steve accepted. Steve remembers his intake conversation with Rachel vividly. Compared to other intake procedures, he says, Bethesda Project’s was simple and brief, allowing him to share without judgment. Steve immediately connected with case management services. At first, he and his Case Manager, Andrew, just talked. “Andrew gave me his time,” Steve says. “Through us just talking I started to redevelop social and communication skills; I started to feel less self-conscious.” The two met multiple times every week and, within a few months, Steve was connected with mental healthcare supports, substance use treatment, and Intensive Case Management services through the Department of Behavioral Health. Steve and Andrew included housing as part of almost every conversation they had. Step-by-step, they pieced together Steve’s homeless history, gathered his identification documents, and submitted housing referrals. In early February of 2018, Steve was matched with an apartment through Project HOME. Now, just one month later, Steve has signed his lease! Along the way, Steve says he gained something just as important as housing: a sense of belonging. When Steve initially arrived at Old First Reformed, his only expectation was getting a decent night of sleep. What he didn’t expect was the deep connection he would make with the congregation. Shared company over meals provided by church volunteers turned into an invitation for Steve to share his story with a visiting service group. Steve took them on a walking tour of homeless Philadelphia. At a second speaking event, Steve shared his story with a local school classroom. “I don’t have money or assets,” he says, “but I do have experience—and it’s worth sharing to help people open their eyes, even if only for a moment’s clarity.” We are happy to share that this coming month, Steve will be welcomed as a member of the Old First Reformed congregation. Tyrone has been experiencing homelessness in Philadelphia since he was 18 years old. He found himself cut off from government income and without employable skills or any family to support him. 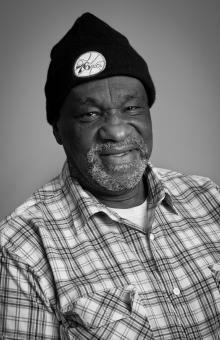 After moving back and forth between the streets and temporary respite for more than 30 years, Tyrone found Bethesda Project’s Church Shelter Program in January 2014. The City’s Homeless Outreach team brought him to St. Mary’s Church, a historic landmark that he says he found inviting because of its staff, yet mysterious because of its dimly lit and decorative sanctuary upstairs. As a religious person, Tyrone found some solace and enjoyment in staying in a church shelter. When Tyrone entered St. Mary’s he had high hopes that it would be a place to stabilize and give him time to reassess his life. He found peace of mind in the fact that Bethesda Project doesn’t limit how long guests may stay in its programs. Although he typically kept to himself and was hesitant to get too close to other guests, Tyrone quickly got to know Bethesda Project’s overnight staff very well and has always felt safe with them. In 2017, Tyrone began to regularly utilize Bethesda Project’s Case Management services in the Church Shelter Program to gather his identification documents, enroll in healthcare, connect with mental health services, and begin the journey towards permanent housing. By early 2018, Tyrone had connected with an Intensive Case Manager and a Peer Specialist who met with him weekly to share lunch and help him prepare for life after the emergency shelter. In March, Tyrone signed a lease to his new apartment in West Philadelphia! As Tyrone prepares to move out of St. Mary’s and into his first apartment, after more than 30 years of homelessness, he says he is excited and grateful. He says he is thankful that Bethesda Project has looked after him these past three years when he needed support most, and was family to him when he had none. When he looks back on last year, Juan describes himself as a "very broken person," both mentally and physically. He had just been released from prison and went looking for help--where would he turn next? That's when he found Bethesda Project. "I met Sarah Erdo who told me Bethesda could help--she put me in St. Mary's with some other guys." Juan vacillated between two of Bethesda Project's church shelter locations -- St. Mary's and Trinity -- before space became available for him at My Brother's House (MBH), Bethesda Project's Safe Haven location. Since moving into MBH, Juan has been working with his Case Manager, Chase (shown left) to get the help and mental health counseling he needs while Bethesda Project staff works to secure housing for him. "I was really, really down and depressed when I started," Juan remembers. "Now I’m positive 'cause I know I’m gonna get my own place. I’m just waiting on an apartment." At MBH, Juan has even taken on a mentor role with his fellow residents. "I been around a lot of people with serious mental health problems and some of ‘em I try to help -- I’m always there to conversate 'cause I know what they been through." Juan was recently invited to speak on a panel hosted by Philadelphia College of Osteopathic Medicine (PCOM), where he was honored to have an audience listening to his experiences with incarceration and homelessness. "If my story can help anybody it means I did the right thing. I’m good." Juan has been asked to return to PCOM for another speaking engagement once again next year. Arcade began staying at Bethesda Project’s Our Brothers' Place (OBP) shelter in January 2015. While there he worked on his goals of obtaining income and housing. Arcade accomplished his income goal while at OBP and moved into permanent housing at Bethesda Project’s North Broad site in February 2016. Though Arcade was very happy with these accomplishments, he continued to find new goals to strive for. Since then Arcade’s primary goal has been “independent living.” Since OBP provided meals for Arcade and he was still getting used to having an income after moving into Bethesda North Broad, it was a new experience for him to go grocery shopping and cook for himself. During his first six months at Bethesda North Broad Arcade successfully learned how to budget his food stamps and income so that he no longer runs out of food before the end of the month. January 2017 was a busy month for Arcade. As he neared his one year anniversary in permanent housing, Arcade accomplished several goals all at once. Around the holidays, Arcade reconnected with family in West Philly. He also started a savings account. Arcade loves boxing and wanted to receive an evaluation/training session from a professional boxer. Arcade worked with case management to budget and plan his trip, arranging the various modes of public transportation he would need to get to the boxing gym in Brooklyn, NY. With a stack of directions in hand, Arcade set out for New York City on January 28th and successfully took his first independent trip. When staff saw Arcade after his trip, he was beaming with pride and excitement for accomplishing these goals. Since Arcade is so motivated to make his life better, he uses his accomplishments to encourage him to continue working on his goals. Arcade is now looking to the future and the goals he wants to focus on in 2017: becoming a better boxer, managing his money/budgeting independently, taking a vacation, getting his driver’s license, and obtaining his own apartment. Juan passed away suddenly in 2016. He will be remembered very fondly by his family at Bethesda Bainbridge. Juan has been a resident at Bethesda Bainbridge residence since 2010. Originally from a small town in Puerto Rico, Juan has been in Philadelphia for the last 12 years. The 47-year-old has a history of mental illness and addiction. “When I was 15, my twin sister was brutally raped and murdered. I went off the deep end. I took vengeance into my own hands,” said Juan in his native Spanish. “I killed the men responsible for my sister’s death and I confessed.” Juan was sentenced to 36 years in prison but was released after 14 years served with good behavior. In February Juan lost his youngest son to gun violence in Puerto Rico. Although he was completely distraught by the news, Juan credits Bethesda Project for helping him through this tragedy. “I thank God every day for the staff at Bethesda. They’ve given me a new chance at life and have become my family and saving grace. Abraham had been homeless for over a year before coming to Bethesda Project’s Our Brothers’ Place shelter. And while he’s been a guest, he has made the most of his opportunities from becoming a leader among his peers to starting a job with the Philadelphia Phillies. "Living at Our Brothers' Place has been pretty good. The people there help you with everything if you're willing to do the work." Abraham certainly did the work. After putting his resume together, he learned the Phillies were coming to serve their annual meal at OBP and he seized an opportunity to give his resume to Phillies General Manager, Matt Klentack, who was present for the day of service. "It was about 10 minutes before we were getting ready to leave," Matt remembers. "All of the sudden, this really impressive young man came over to me and handed me his resume and told me how much he'd like to work for the Phillies. And I knew I had to do something for him." having a place where his 11 year-old son can stay with him for weekend visits. In the meantime, Abraham continues to take his responsibilities at Our Brothers' Place very seriously where he takes care of resident laundry and acts as an ambassador and floor monitor to his floor mates. In his free time, Abraham enjoys drawing and is trying to launch his own t-shirt company. Alphonso became homeless after the death of his mother. He said that he just gave up and no longer believed that he deserved anything good in his life. He spent time on the streets of Camden, NJ prior to coming to Philadelphia, where he was also homeless for a long time. Alphonso came to know Bethesda Project through the Church Shelter at St. Mary’s. During his time at St. Mary’s Shelter Alphonso battled issues of drug addiction and mental illness. It was extremely difficult for him to focus on his own needs, often believing that the only way he was worthy of any respect was when he was taking care of and providing for others. This meant that Alphonso often went without meeting his basic needs in order to ensure that his friends who were also homeless had what they needed. Alphonso took a risk and began building a relationship with the church shelter staff, who always encouraged him to put himself first. Through working with his case manager, he was linked to mental health counseling and treatment and began to deal with the immense grief he was carrying around about his mother’s passing. Alphonso began to transform. He began seeing a medical doctor for regular care, and also started an outpatient drug and alcohol treatment program. Alphonso then moved into Bethesda Project’s Safe Haven, My Brother’s House, where he became a leader of the community and helped the site win the Golden Broom cleanliness award. Alphonso has since moved into permanent housing with Bethesda Project, but he still visits My Brother’s House almost every day and helps them to maintain an extremely clean environment. Alphonso 's voice is featured in the video Angels Walk Among Us and in speaking about the Church Shelter Program and what it did for him, Alphonso says of the future, "It's going to be wonderful." We’d like to introduce you to Harry, one of the first residents at Bethesda Project's Connelly House. Harry moved into the permanent supportive housing facility in early 2011 after staying at Our Brothers’ Place Shelter for two years prior. Harry has struggled with reading all his life, and when he became a resident at Connelly, he identified furthering his education as one of his primary goals. Unfortunately, due to funding cuts, the city of Philadelphia’s adult education programs were not able to provide Harry with the level of assistance he needed. Thanks to our Mission Development Facilitator, Tony Medwid, Connelly House staff was able to connect Harry with a volunteer reading tutor, Ann. When Harry and Ann work together twice each week, Ann brings her own materials that are specifically targeted to Harry’s reading level. The two have developed a close relationship in the nearly two years that they have been meeting. Ann praises Harry for his unfailing warmth, generosity, and sense of humor, and Harry expresses thanks for Ann’s dedication. “We’re good friends,” he says. Beyond working to improve his literacy while at Connelly, Harry has also been able to improve his income by receiving SSDI. Further, Harry has begun regularly volunteering at MANNA, where he enjoys working with other volunteers to pack lunches for men and women who cannot cook meals for themselves. Within the next year, Harry looks forward to moving into subsidized housing in Virginia to be near his family. In the meantime, he plans to stay healthy and happy while he continues volunteering and meeting with Ann to improve his reading skills. In fact, one of his New Year’s resolutions is to make more trips to the library. Monica came to Bethesda Project seeking a peaceful home after fleeing an abusive relationship. Suffering severe depression, Monica had entered a mental health treatment program at a hospital. Her case manager at the hospital learned of the domestic violence and urged her to enter a safe house for women. Free of her abuser, Monica was homeless and arrived at the shelter with almost nothing. Staff at the safe house recognized Monica’s fragile condition and helped her apply to live at Bethesda Spruce, a permanent residence for 16 women. Once in the house, Monica found support from staff and residents alike. When Monica first arrived, several residents shared food with her. The community supported Monica’s efforts to earn a certificate in Medical Administration from a technical institute. Program Coordinator Kathleen Sonnie, RSM, helped her get a desk for her room, so that she could study quietly. One resident helped her study by reading out flashcards. “I don’t know what I would do without their help,” said Monica, who graduated from the program with a 3.9 GPA and perfect attendance.